First, I asked Dr Campinha-Bacote to tell InsureBlog readers a little bit about himself and his position. Dr Campinha-Bacote’s training was in Family Practice, and he’s been involved in Managed Care since 1992. With Aetna for about 5 ½ years now, he’s currently Medical Director for southwest Ohio, southeast Indiana, and all of Kentucky. 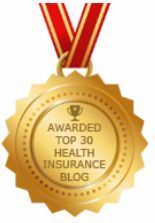 Could you tell InsureBlog readers a little about how Aetna came up with the idea, and a brief description of how it works? Actually, this is a great example of consumer driven health care (CDHC): several employers (whose companies use Aetna for their group coverage) approached Aetna with their concern that, as more and more of their employees opted for high deductible plans (HDHP), they lacked vital information. These employers asked Aetna to develop tools that their employees could use to make “better informed decisions.” One of these tools is the pilot transparency program. As Dr Campinha-Bacote explained it, Aetna lists the 25 most common services for each physician (provider) in the Cincinnati-area market, and the negotiated reimbursement rate for each service. This way, the patient (insured) knows ahead of time what a given service will cost. These services will vary from provider to provider; after all, a vascular surgeon will offer different services than a pediatrician. 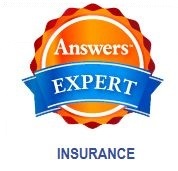 Aetna insureds can access this information a couple of ways: through Aetna’s web portal, Navigator or by phone. Interestingly, Dr Campinha-Bacote told me that one doesn’t have to be in a HDHP to access this info: any Aetna insured can pull it up. This is helpful for those who have co-insurance requirements as part of their plan. What criteria will you use to judge whether or not to expand this program to other markets? So far, the response has been very positive from all three. A year or so ago, I was involved in a CE class with Humana’s Medical Director, who was touting what he called “Consumer-Centric Health Care;” Humana’s version of CDHC. His emphasis was on encouraging insureds to be more pro-active in their health care, especially with regard to researching options. I discussed this with Dr Campinha-Bacote, who agreed, but felt that only a small percentage of insureds really take advantage of the wealth of knowledge available, but that he sees this changing. He gave an example of how this would work: a patient consults with his vascular surgeon, who recommends an invasive surgical procedure. In researching the procedure, the patient learns that there is also a non-invasive alternative. 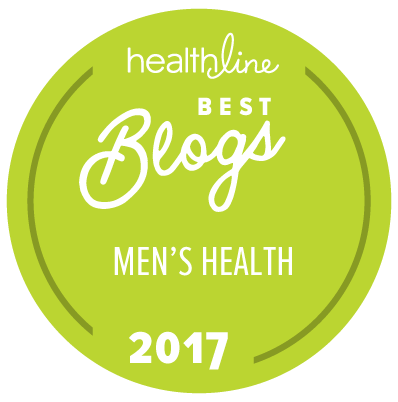 Armed with this information, he can now discuss treatment options more effectively, by asking why the physician recommended the invasive procedure over the non-invasive one. In fact, Aetna now has an online service called IntelliHealth that’s available to the public. Are you concerned that providers, knowing what their competitors are charging, will seek more aggressive increases in their own negotiated rates? Frankly, I was surprised by the answer: while all of this information is available to Aetna insureds, it’s not available to the physicians themselves (unless, of course, their insurance is with Aetna). In other words, a given doc doesn’t have access to his competitors’ negotiated rates. Dr Campinha-Bacote went on to explain that, in this market, the rates tend to be pretty level across the board, so it’s not likely to be a bone of contention, anyway. He also explained that another benefit to this transparency of rates is that the doctor has an opportunity to discuss his own value in the transaction: “why I’m worth more than Dr Smith.” After all, you get what you pay for. Dr Campinha-Bacote added that another facet is that such decisions are not made “in isolation.” In other words, he anticipates that patients will discuss these issues with their family doctors, not just specialists. We’ll conclude the interview, and I’ll offer some observations, in Part 2. A special Thank You to Wendy Morphew of Aetna’s Media Relations Department, whose persistence and cooperation made this project possible.